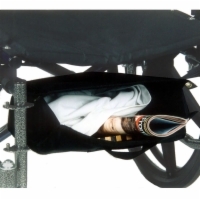 Underseat storage bags attach to the bottom of most power wheelchair and mobility scooter seats. This gives you a storage area that is less obvious to others. Mounts at the bottom of manual wheelchairs. 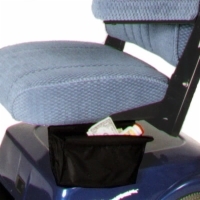 Single pocket can be used to store a variety of items. 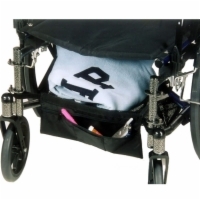 Attaches underneath most power wheelchairs and mobility scooters seats giving you a discreet storage area for your valuables. 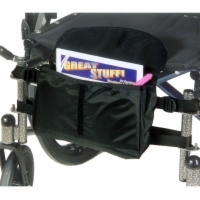 Mounts to the framework of manual wheelchairs and creates a shelf underneath the seat.